Biologist turned social marketer working to solve the human side of the biodiversity conservation equation. The death of a celebrity often makes the headlines, but it is less common that the death of wild animal has the same effect. However, it appears that the entire world has mourned the loss of Cecil the lion, killed on a private game reserve bordering a national park in Zimbabwe. But is the recent barrage of attacks on trophy hunting, and the US dentist who killed Cecil, justified? Let’s be clear: Cecil was killed illegally, which we don’t condone. The landowner who allowed the hunt on his reserve without the necessary permit should face the justice system. But this one bad apple should not tarnish an entire industry. Legally hunting lions in Zimbabwe is highly regulated: it requires various permits and licenses from the client, professional hunter and hunting reserve owner. National quotas aim to ensure sustainable off-take of the species and, in western Zimbabwe, lions are only killed once they have reached a certain age to make sure they’ve had the chance to pass their genes on. 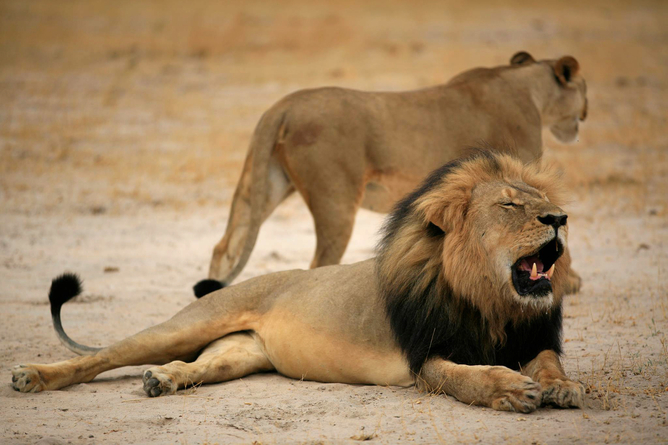 As a result, lion populations in Zimbabwe are either stable or increasing. So if hunts are conducted following these rules, can trophy hunting really help conserve lions? Some argue that even if this were the case, the practice still shouldn’t be allowed because it involves killing a charismatic and threatened animal for fun. Opponents suggest that non-lethal alternatives such as photographic tourism should be the main way in which conservation is funded. But there are a number of problems with this argument. Hunters are willing to go to remote and unstable areas that most photographic tourists are unwilling to venture into. Far more photographic tourists would have to travel to Africa than hunters to make up the same level of revenue, so the carbon footprint from all that air travel would surely have a significant environmental impact. It should also be noted that the potential for nature tourism is not equally distributed, with the industry often focused only around a few locations. This leaves other regions without access to tourism revenue. Oh, and let’s not forget that wildlife reserves can also kill lions. If the goal is to preserve populations and species (as opposed to the welfare of individual animals), countries with healthy wildlife populations should be able to use their natural resources to cover the costs of management. This is particularly the case in countries such as Zimbabwe, one of the poorest places in the world. Zimbabwe has a tradition of using trophy hunting to promote wildlife conservation. Through the CAMPFIRE programme, which ran from 1989 to 2001, more than US$20m was given to participating communities, 89% of which came from sports hunting. In more recent times, populations of elephants and other large herbivores have been shown to benefit from trophy hunting. Zimbabwean trophy hunting generates roughly US$16m of revenue annually. While it has been rightly pointed out that only 3% of this goes towards local communities, the ethical implications of removing this money without a clear alternative need to be examined. The economic impact of trophy hunting in comparison to tourism as a whole may not be huge, but what is the alternative if it is made illegal? Zambia banned trophy hunting of big cats in 2013, only to reverse it earlier this year because the government needed the money to fund conservation. Conservation costs money – so does the damage done by lions killing livestock. It is not clear whether photographic tourism alone could cover these financial burdens. If trophy hunting is to continue, how can we make it more sustainable? One study suggested we need to enforce age restrictions on trophy animals throughout the entire country , improve monitoring, change quotas over time depending on environmental conditions and ensure lion hunts are at least 21 days long. Another study found that trophy hunting can be beneficial to lion conservation when the income is shared with locals who live with this species (and have to deal with the negative consequences of their presence). While it is sad that we sometimes have to resort to killing animals for conservation, let’s not allow emotions to overtake our arguments. Conservation is a complex, difficult industry and needs all the financial help it can get: we are after all living through the sixth mass extinction. How much money will that take to fix? Niki Rust is PhD candidate in Carnivore Conservation at University of Kent. Diogo Veríssimo is David H. Smith Conservation Research Fellow at Georgia State University. Me WordPress Theme by themehall.com.